Spending for 2019 in the hotel sector is coming soon. Technology upgrades for sales, marketing, operations, and every area focused on ROI are priorities. The most significant digital shift for hotels has been to incorporate artificial intelligence and Internet of Things in their operations. Artificial intelligence, thanks to devices like Alexa, can now offer guests the same experience that they enjoy at home. Through AI capabilities, they can order food, get information on amenities, manage the thermostat and keep the room secure. Voice control devices allow customization and personalized services that hotels want to provide. IoT devices with automated settings make rooms hands-free. They not only personalize guests' in-room experiences but continue to improve operations. Leveraging mobile and voice-enabled technology will be even more effective when combined with a responsive Internet of Things system. Hotel room design and construction will be more efficient, and they will contribute to a brand’s sustainability efforts and goals. There is a strong focus on streamlined and seamless operations. Cloud-based hotel management systems are being put in place to this effect. These robust systems can perform tasks that reduce the need for extensive resources and increase employee efficiency. Employees can now focus on specific tasks instead of being spread thin by multiple chores. There is better team control by management, which includes improved scheduling, food and beverage consumption, better inventory, billing control, and improved bookings. The very nature of the cloud makes it accessible to the team from anywhere, which offers the ability for faster and smarter decision-making. Furthermore, chatbots have become a necessity in the hospitality industry. This ubiquitous remote concierge technology is ready to welcome guests online, book a room, help them check in and out, and plan an itinerary. Many brands were skeptical at first. They weren't sure whether guests would like the non-human aspect of customer service. But as it turned out, the majority seem to prefer chatbots because of faster response times and focused conversations. Emerging mobile technologies like NFC and RFID have also improved the speed and ease with which we communicate in the hospitality industry. Together they have made managing calendars, shopping, remote check-ins, and communication easy with branded mobile apps. They are improving customer experience and freeing up resources to do more important tasks. No matter how much of technology is applied to the process, human resources are still at the core of a great hotel experience. 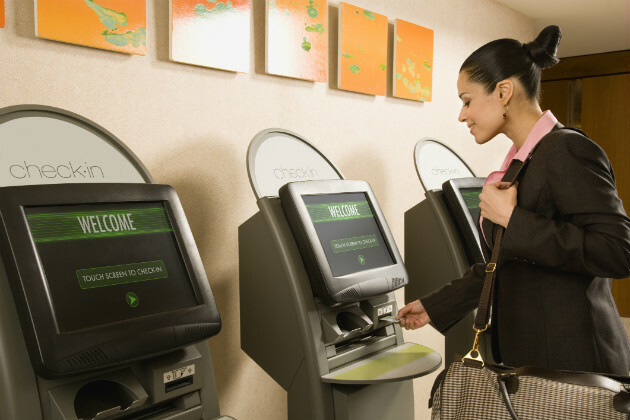 Hotels that know this are focusing on enhancing their workforce management processes. Here again, the cloud-based software comes to the rescue. Management gets actionable insights into the activity of their employees and has better control over operations. They can identify challenges and act on them faster, develop solutions that improve efficiency and manages risks better.